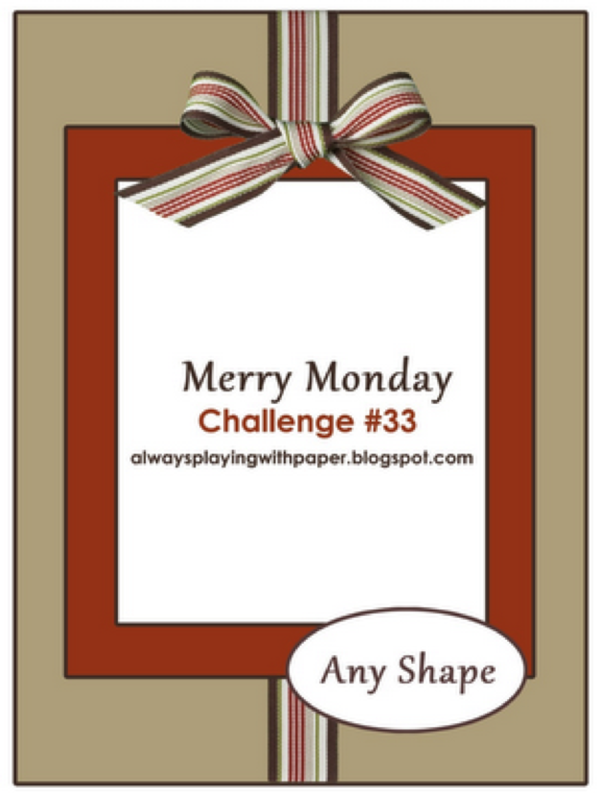 My card tonight is for this weeks sketch at Merry Monday. This sketch is number 33, can you believe how quickly the weeks have flown by? I’m also pretty proud of myself as I have played along with every sketch – patting myself on the back right now! Head over to Lesley’s blog and check out the gorgeous cards the Merry Makers have created this week. We’d love you to join us! Thanks for stopping by. This card is to good to give away unless it’s to me.You have been very creative terrific card. Gorgeous card…what a cute idea for a sleigh. Love the details you added to the presents. The gifts and sleigh are gorgeous! There are so many wonderful details. My jaw dropped when I saw this….how COOL!!! This is fantastic, Narelle! I’ve been looking forward to seeing how you did this all last week. I love the embossed sleigh and those pretty packages! Thanks for the link. It looks like a fun project. Ummmm!~ Amazing!!! This is so cool Narelle…love that sleigh and the gorgeous colours you used. Wow, what a great card, Narelle. Super colour combo and the detail in the sleigh and parcels is fabulous. WOWOWOWOWOW – this is AMAZING! Beautiful colour combo and I just LOVE how you made the sleigh. WOW – thanks for sharing! Wow Narelle, what a fantastic card. I love all the wonderful details. Oh my gosh, what a fabulous card!! The colors are amazing, and I had to pin this beauty as soon as I spotted it!